In front, its 25-MP punch-hole selfie makes it the second phone in the world to sport this feature, while in back there’s a mesmerizing V-shaped hologram that dances in the light. It’s the kind of visual flair that compels nearly every person that sees it to stop, gawk, and eventually comment on it. The View 20's display also features vibrant, sometimes eye-searing colors that make the icons in Honor’s Magic UI 2 look a little cartoony, but since the phone’s theme and color profile can be easily customized, there’s not much to get worked up about. The phone also offers sufficient brightness of around 500 nits, though because it’s an LCD panel, you don’t get the same kind of contrast or black levels like you would on a more expensive OLED phone. 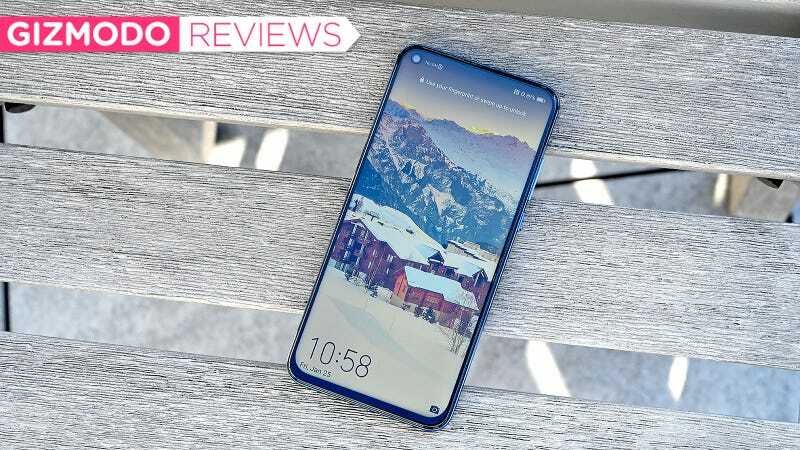 More generally, the Honor View 20's camera delights with shots that are well exposed (if sometimes bordering on being slightly overexposed). Low light images, even when taken with night mode turned off, sometimes look better than similar shots from a Pixel 3—the de facto low light camera leader. The main View 20 camera quirk to watch out for is Honor’s AI photo tuning, which can go overboard on color saturation when shooting pictures of things like food, flowers or certain landscapes. And here’s one more 48-MP pic for you to pixel peep. I also noticed the View 20 prefers to shoot slightly brighter photos and has a tendency to push color saturation a bit too high. You can also use the time-of-flight camera in conjunction with the phone’s beauty mode in order to more proportionally slim down your appearance in photos without needing to become an expert in Photoshop. Honor’s slimming function even worked on a cardboard cutout of everyone’s favorite wolf of Wall Street. Not even Leo is perfect. In a lot of ways, the View 20 is stripped-down take on Huawei’s super premium Mate 20 Pro. It’s got the same Kirin 980 processor as the Mate 20, 6GB or 8GB of RAM, 128GB of base storage, and styling as eye-catching as anything else on the market. 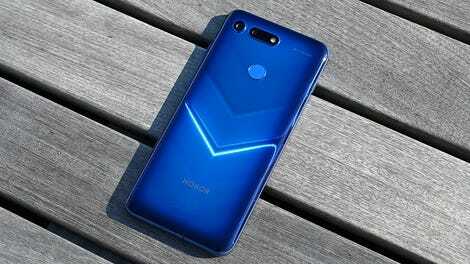 But for the View 20, Honor removed luxury extras like reverse wireless charging, an in-screen fingerprint reader, and face recognition in order to bring the phone’s starting price down to 570 euros (or around 650 freedom bucks). That’s a combination good enough to give my favorite mid-range phone—the OnePlus 6T—some decent competition. Unfortunately, things aren’t all happy holograms and fancy front-facing cams for the View 20, because as with a handful of other Honor phones, even without diving into the ongoing security concerns regarding its parent company, there are a few caveats that need to be mentioned. Even though the View 20 is a good phone on paper, Honor hasn’t made an official commitment to bring the phone to the U.S., and even if it does, the phone will almost certainly be limited to GSM carriers like AT&T and T-Mobile. But if you do live in an area where the View 20 is an option, or you don’t mind buying one from an overseas retailer, the View 20 is a stunningly good-looking device and surprisingly sharp picture taker. And for a lot of people who don’t want to drop a grand on a phone that can still make peoples heads snap, that’s a pretty respectable formula. For a phone that costs around $650, not having wireless charging or official water-resistance is a bummer, but you do get a headphone jack.